Flamethrowers out! 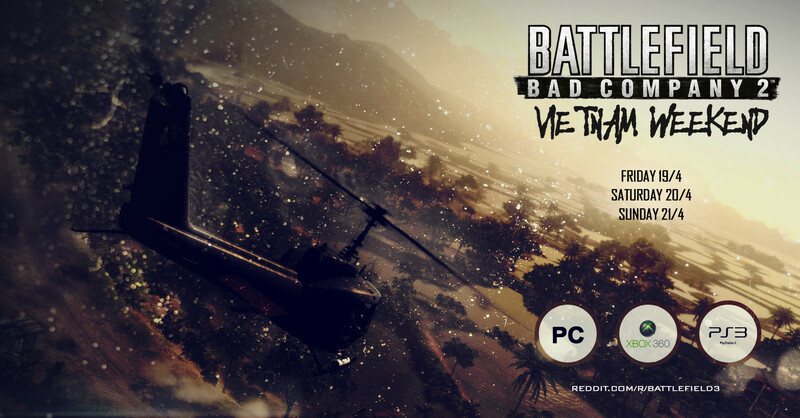 It's BC2 Vietnam weekend!! Discussion in 'Battlefield' started by flamingcarrot, Apr 19, 2013. The whole internet is ablaze with thoughts of whilrlybirds, flamethrowers and dynamite. Well, Reddit is, anyway. Hopefully the game will busy up all weekend. Be good to get back on there for a session or two. I'm going to be on tonight, and hopefully Saturday night. On PS3. flamingcarrot. I'll have some of that Carrot. 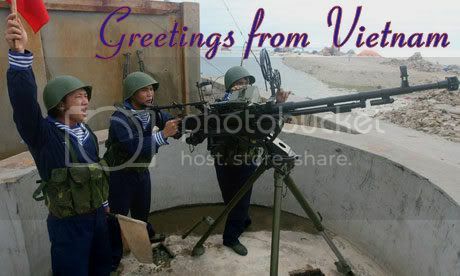 Haven't played Vietnam in an age. Should be on after 22:00 as always. If I'm around and not jumped into the escapades just send a (friendly Lego Jon!) invite over. Think we're going to need a few of us, as the game is a little bit quiet at the moment. Hopefully it will busy up by tonight. Rush it more active though with a wide range of ranks playing I wasn't surprised to see the numbers dwindle to 3 v 2 after two games. See you all on BC2 when I see you all. I'll join the fun... maybe I can get my demolition kills for that Platinum this weekend?! Not in Vietnam you won't (you need multi storey buildings). If you want a hand with that trophy then I'm happy to help, but you will need to enlist others. Wow, we'll that was just about the least amount of fun I've ever had on that game. Spawn trapped by choppers for a whole game. Joy. Sorry to hear that WC, there were alot of either really good players or really crap players tonight (I'm in the latter). Shame that the servers weren't more busy, someone should have promoted it better as it is still a great game to play. I was pleasantly surprised by the number of players online (at times). Yeah, it wasn't much fun being stuck on the wrong side and killed every time I spawned at base by two circling choppers. Couldn't believe it was a full game though. Had a bit of fun with my M40 taking out bush campers. Echoing Andy just shout whenever you need bodies in a collapsing building on BC2, unless you know of a better method playing squad deathmatch on opposing teams on Arica Harbour can work (it's a method I done with someone else, systematically going from building to building). I find the Vietnam maps to be ruthless if the enemy team manage to take all the flags, especially given quite poor placement of vehicles. Hope we're on the same side if you were to revisit BC2/Vietnam. Vietnam and BC2 were just as active as how fast people were to leave meaning finding a full game last night proved difficult. Other than last night featured small games with veterans exploiting poorly designed maps to spawn kill. So same old typical BC2. Come Monday, like Killzone (not necessarily for the same reasons) this game will once again be archived in my game pile - hopefully to preserve the fond memories when games were civil and creative rather than the cheap stagnant cesspool it's been neglected to. That said just shout Banzai when you want to get your Demo 2.0 kills. I found it pretty bad too. Strange as I thought the game would be full of a more mature and civil gamer. My mistake.